Children’s safety is paramount to the Northern Territory Government and consultation is soon to commence to consider potential improvements to the current Swimming Pool Safety laws. Territorians deserve to live in safe communities. We all want to ensure children are safe and that the community has up to date, practical and effective swimming pool safety laws that reduce the risk of young children drowning in home swimming pools. These consultations are not intended to make any changes to existing pool safety barriers that have been certified as compliant to the current Swimming Pool Safety laws. The Northern Territory Swimming Pool Safety Act 2004 requires only certain swimming pools to have safety barriers. This consultation will consider whether those areas that are currently excluded – such as properties over 1.8 hectares in size – should be required to have compulsory pool safety barriers. At the time of the initial laws, Government took into consideration a range of factors that were relevant at the time. The laws set a standard for pool safety barriers and how, when and for which pools these standards applied. The Northern Territory community is now well aware of the importance of pool safety barriers, and the system requiring those barriers to be installed is well established. With the Community’s input, Government will consider what changes could be made to improve safety outcomes for those properties currently exempt and to streamline the existing systems that are already in place. 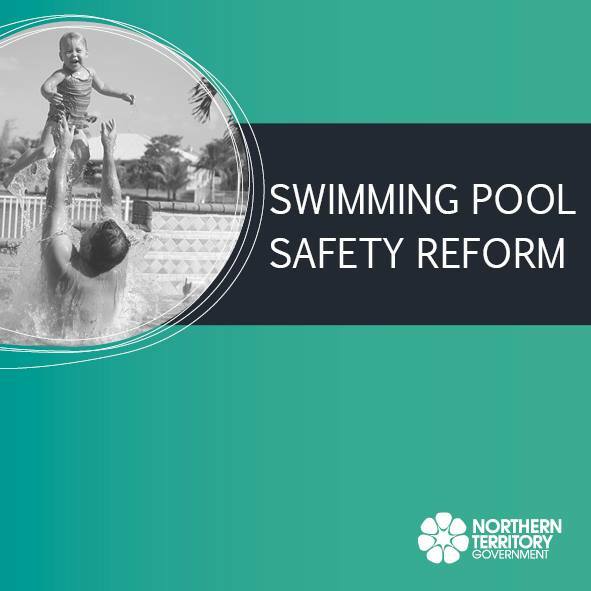 The consultation is designed to make sure the Swimming Pool Safety Act and the Regulations deliver safe home swimming pool areas for children under five years of age, and are effective and easy for the community and industry to understand and follow. short term holiday accommodation in houses, townhouses and units. Alternative access solutions for people with a disability. Temporary pool safety barriers during construction.